download VirtualBox first at: https://www.virtualbox.org/wiki/Downloads and install it. 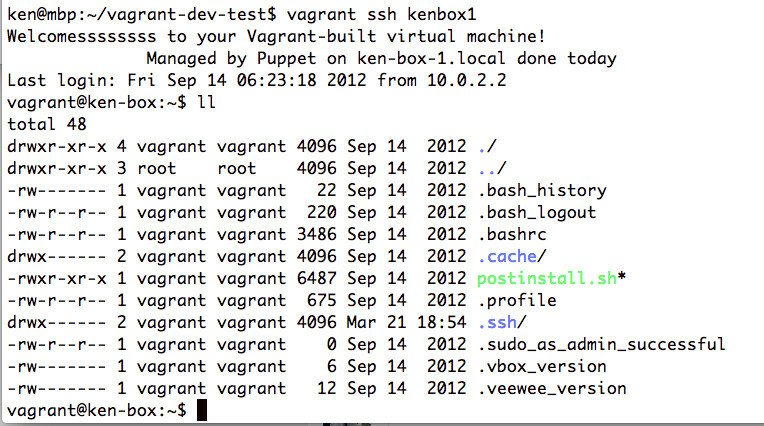 download a version of Vagrant that suits your machine at here: https://www.vagrantup.com/downloads.html and install it. Sit back and relax for like 15-20mins as the new box is going to be built and the dependencies are being downloaded. Congrats! You have now just built a new linux ubuntu box with help from puppet script on top on your mac workstation! In the next section which will come in next week, i will explain more the in and out of Vagrant and Puppet and some tricks on it. Stay tuned!